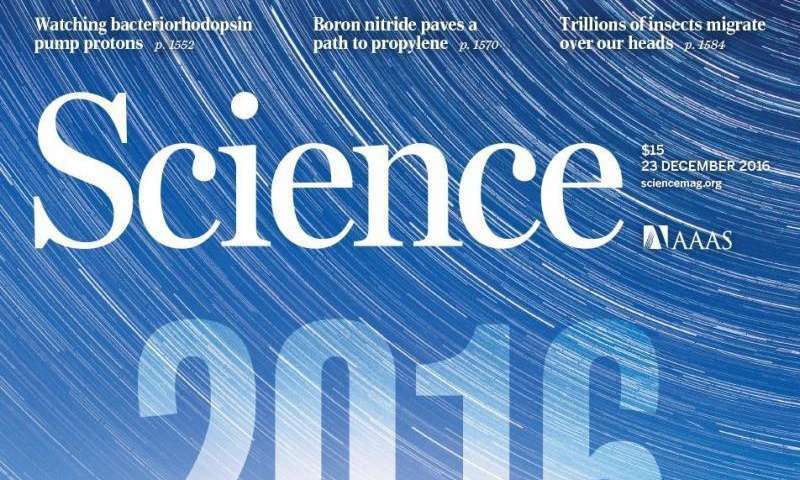 The scientific journal, Science, has chosen as its 2016 Breakthrough of the Year the discovery of tiny ripples in spacetime called gravitational waves – a finding that confirmed a century-old prediction by Albert Einstein. LSU faculty and graduate students are part of the 1,000-member LIGO Scientific Collaboration responsible for the discovery. LSU Department of Physics & Astronomy Professor Gabriela González serves as the spokesperson for the LIGO, or Laser Interferometer Gravitational-wave Observatory, international collaboration. Einstein theorized that whirling concentrations of mass such as two stars orbiting each other would generate ripples in spacetime, but in the days before neutron stars and black holes had been discovered, he thought those gravitational waves would be too minuscule to detect. However, last February, scientists working with LIGO, announced evidence of a burst of waves created 1.3 billion light years away, as two massive black holes spiraled into each other. "When the reporters and editors gathered to discuss big news in science, we didn't take long to pick a Breakthrough of the Year," said Science News Editor Tim Appenzeller. "2016 saw lots of fantastic achievements. But the discovery of gravitational waves towered over everything else." The instruments at the Laser Interferometer Gravitational-wave Observatories, or LIGO, in Livingston, La., and Hanford, Wash., are the only such interferometers in the world that have been able to detect gravitational waves. The LIGO Observatories are funded by the National Science Foundation, or NSF, and were conceived, built and are operated by Caltech and MIT. The LIGO Livingston observatory is located on LSU property, and LSU faculty, students and research staff are major contributors to the 15-nation international LIGO Science Collaboration.